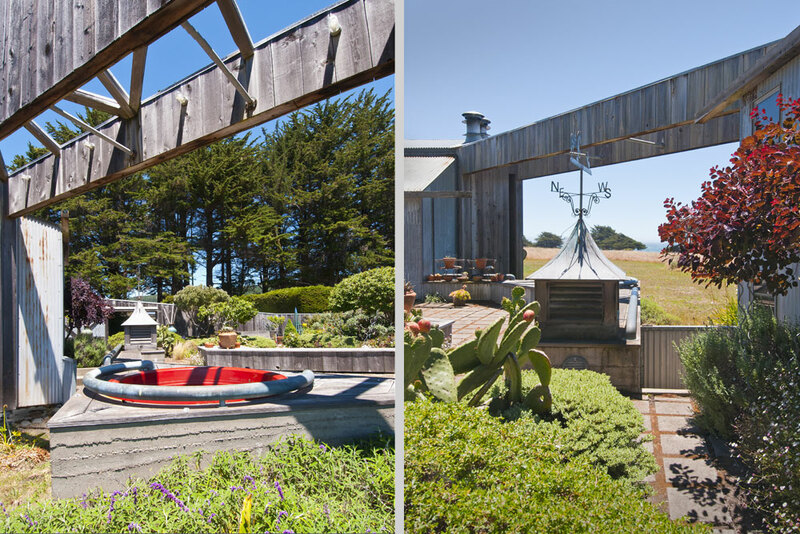 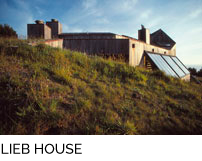 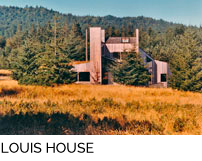 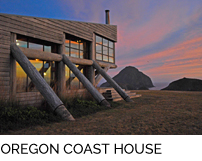 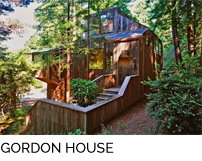 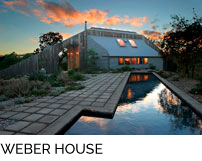 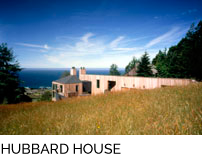 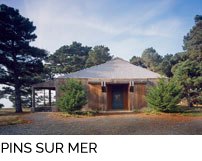 Tin Roof is a 2227 SF residence vacation house set in a coastal meadow midway between Highway 1 and the coastal bluffs. 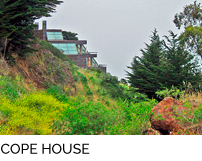 The street runs perpendicular to the bluffs allowing the lot a southerly ocean view across a substantial commons area. 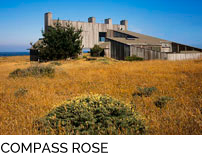 A grove of Monterey Cypress to the north provides some wind protection as well as both a visual and physical tie to the landscape. 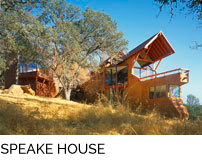 The program includes a main house, a two story guest house/garage, and a courtyard, the latter to assure complete privacy and enhanced wind protection. 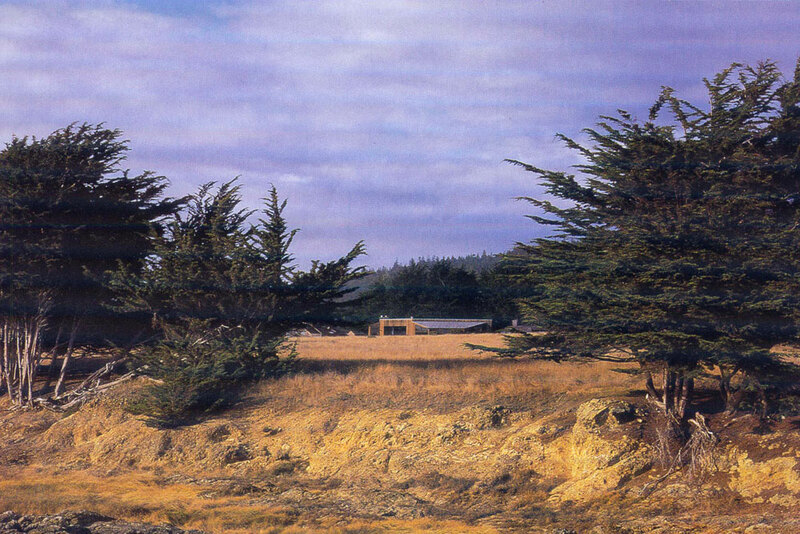 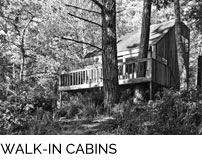 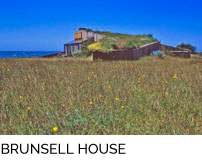 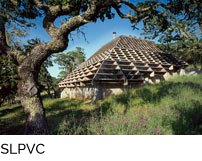 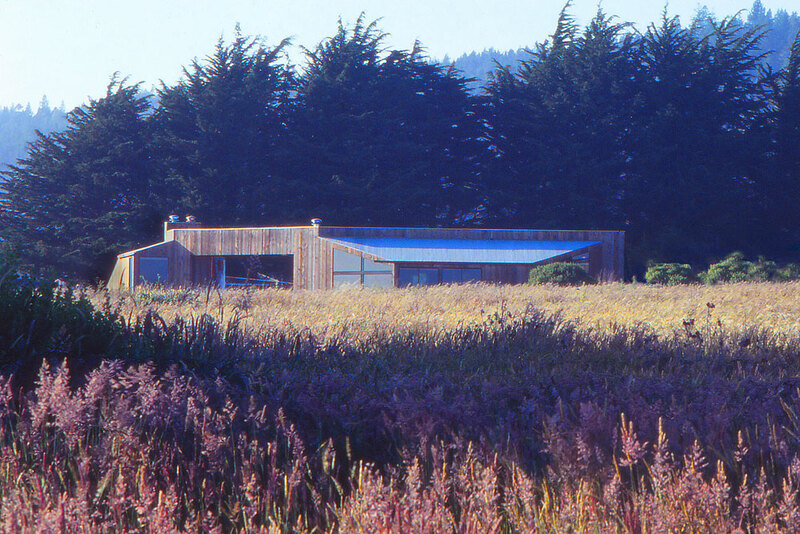 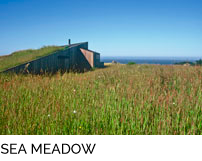 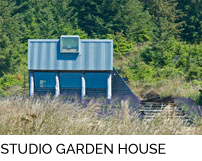 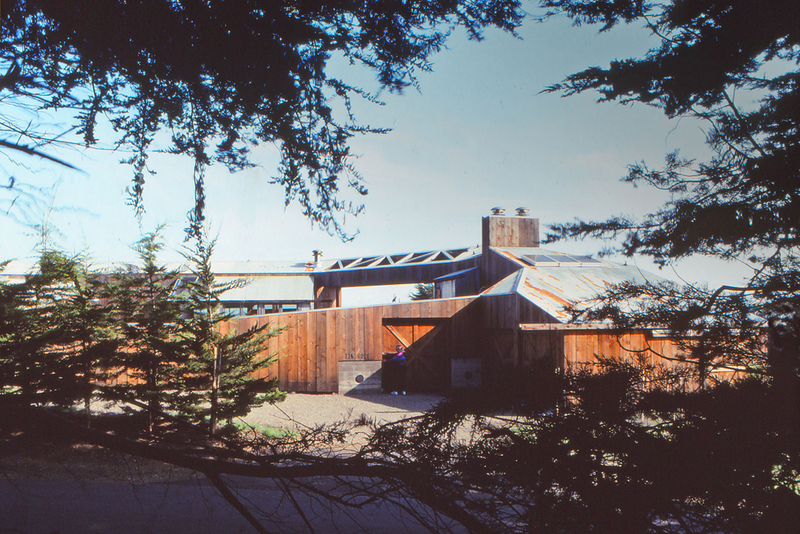 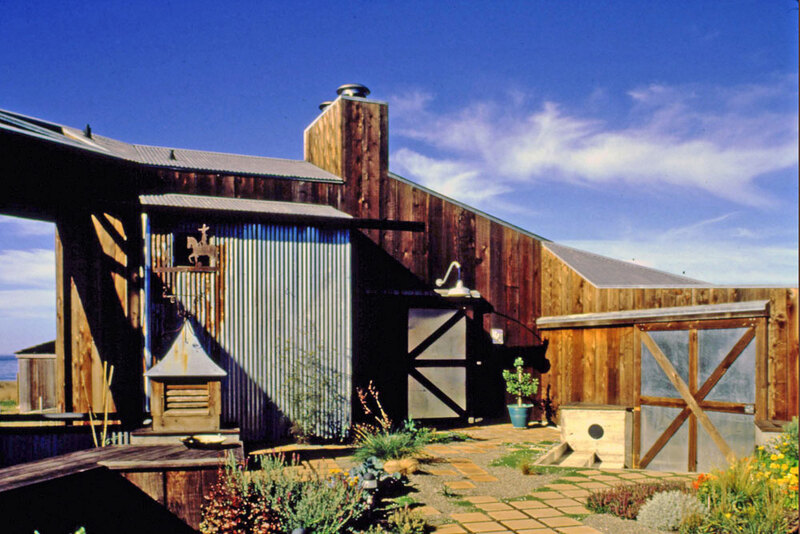 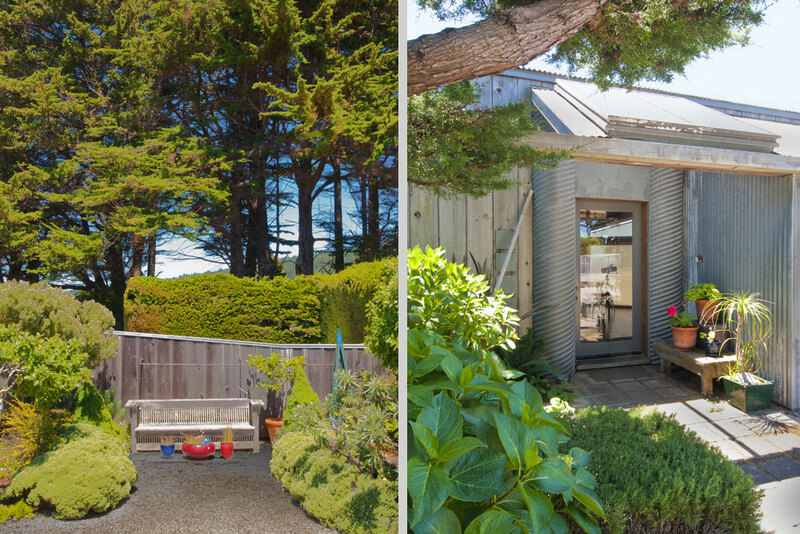 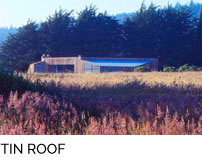 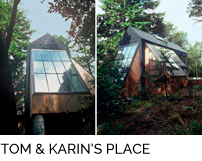 A desire to recapture the vitality of the early Sea Ranch led to the use of exposed timber framed interiors, traditional shed roofs with lean-tos, 1×12 rough redwood siding, and corrugated sheet metal roofing and cladding. 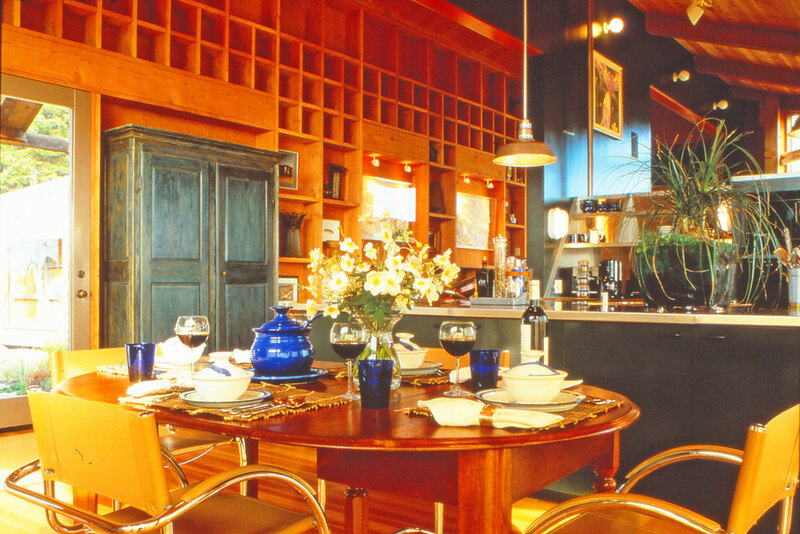 The main interior space is an adjunct to a continuous wall of niches formed by exposed 2×10 studs and horizontal blocking. 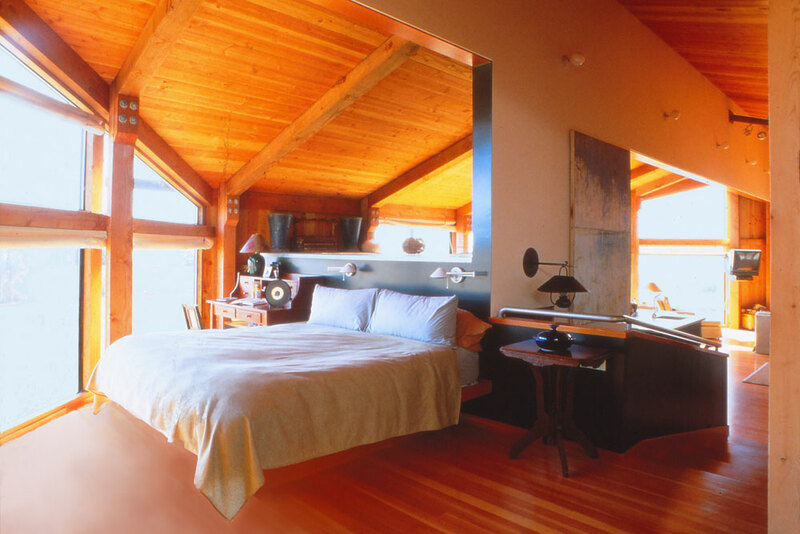 Separate guest quarters diminish the need for privacy allowing an open plan with adjoining rooms borrowing space, light, and ambiance from one another. 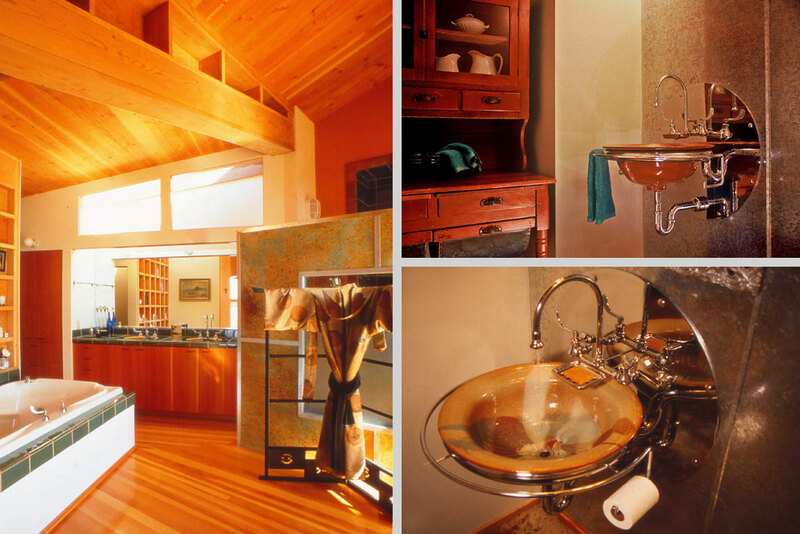 The single bedroom is a bit loft-like overlooking the kitchen/dining/living and is only partially screened by the sunken powder room. 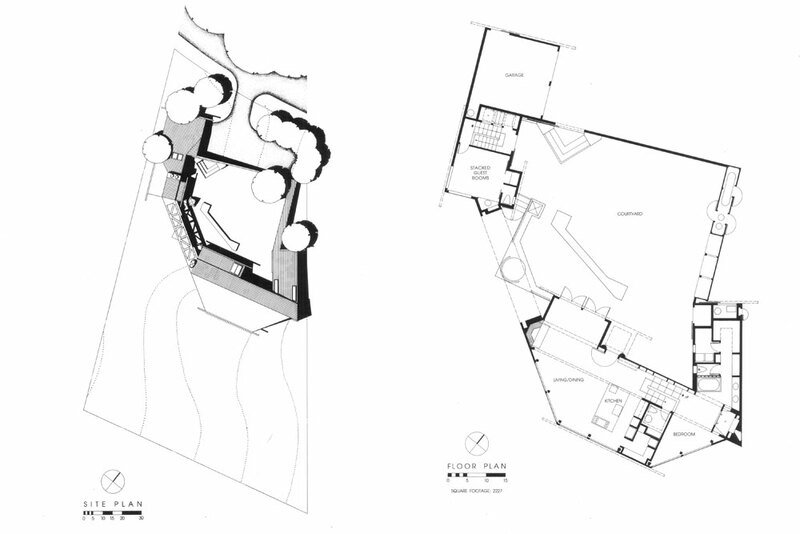 The bathroom is integral with the bedroom and has a shower anchoring the east end of the niche wall. 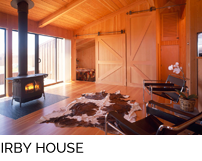 A partially sandblasted glass window looks back the entire length of the house to an identically sized opening in the Rumford fireplace anchoring the west end. 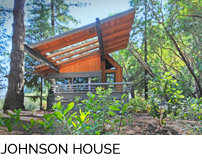 Interior walls are a combination of Douglas fir decking, exposed stud and plywood framing, and gypsum wall board painted with colors found in the surrounding landscape. 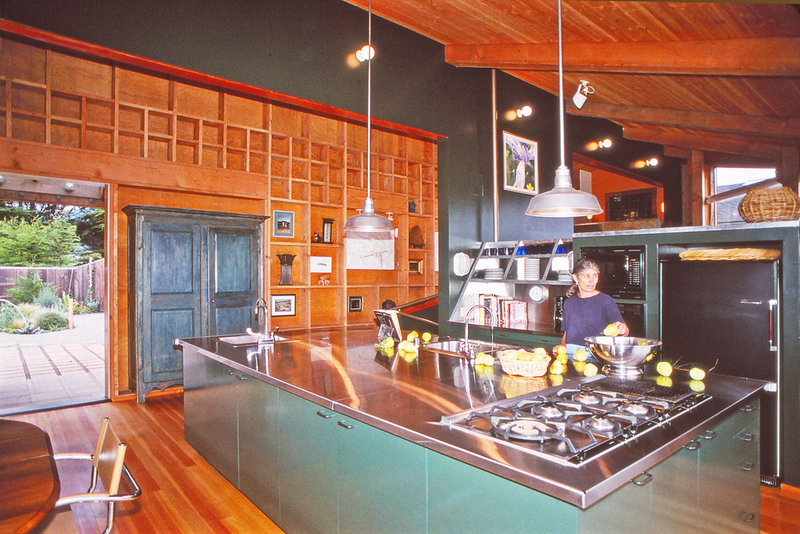 Floors are vertical grain Douglas fir or concrete. 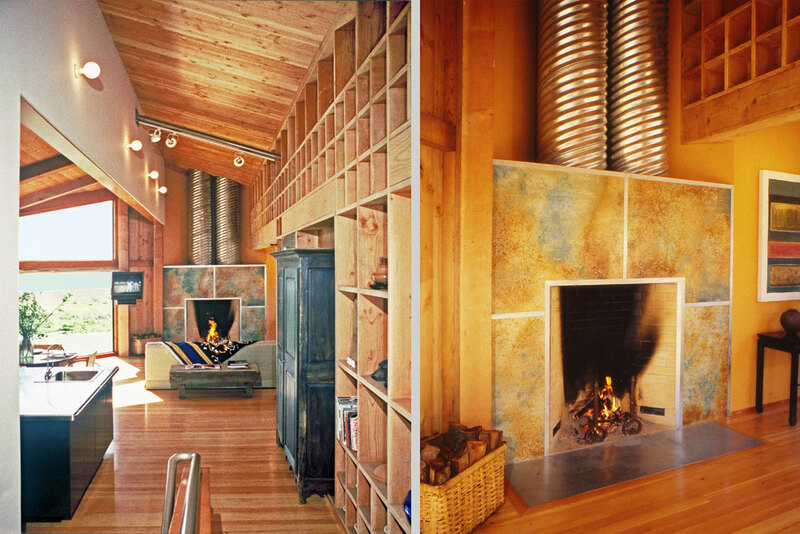 Opposing shower and fireplace faces are stained cement board with galvanized sheet metal joints. 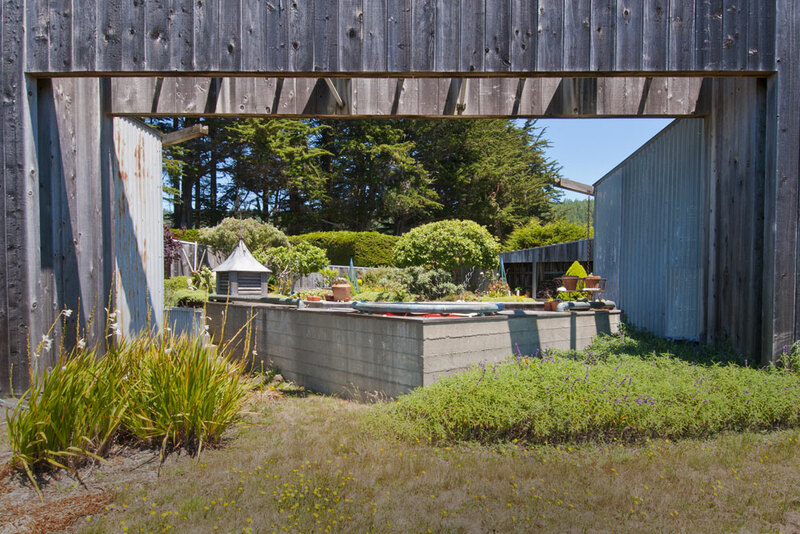 The courtyard is a casual arrangement of stained concrete pavers, decomposed granite, drought-tolerant plants, whimsical artifacts, and a hot tub placed beneath a large framed opening facing the ocean.